The link should launch a new page in your browser that looks similar to Figure 15. This deployment builds a working demo of a Multi-AZ WordPress site. 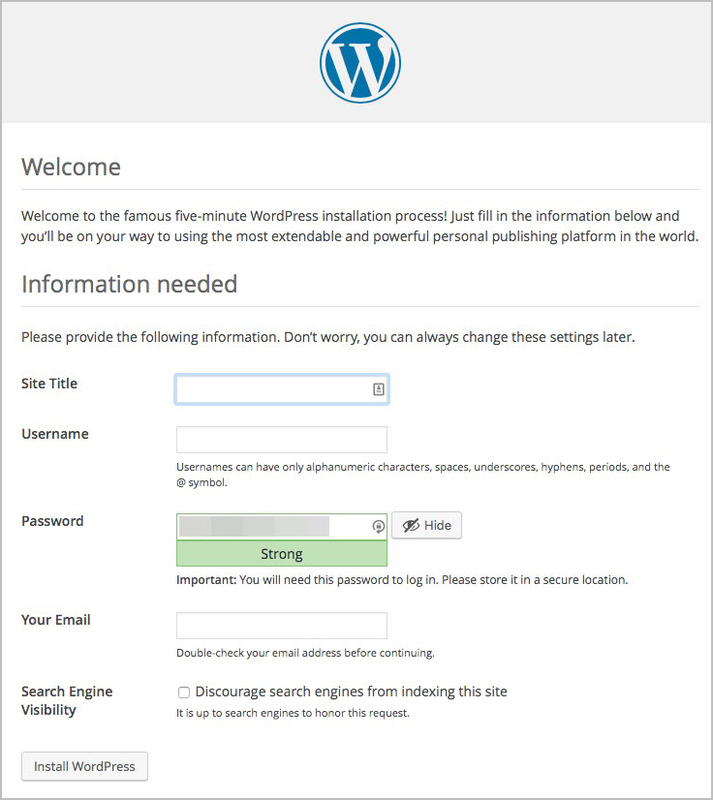 To connect to the WordPress site, choose the URL provided for the WordPress application on the landing page shown in Figure 15. This URL is also available from the WebsiteURL link on the Outputs tab for the main stack. WordPress is provided for testing and proof-of-concept purposes only; it is not intended for production use. You can replace it with another application of your choice. This URL brings up the page shown in Figure 16. You can install and test the WordPress deployment from here. The WordPress application included in this Quick Start deployment is for demo purposes only. Application-level security, including patching, operating system updates, and addressing application vulnerabilities, is the customer’s responsibility (see the AWS Shared Responsibility Model). For this Quick Start, we recommend that you delete the AWS CloudFormation stacks after your proof-of-concept demo or testing is complete. 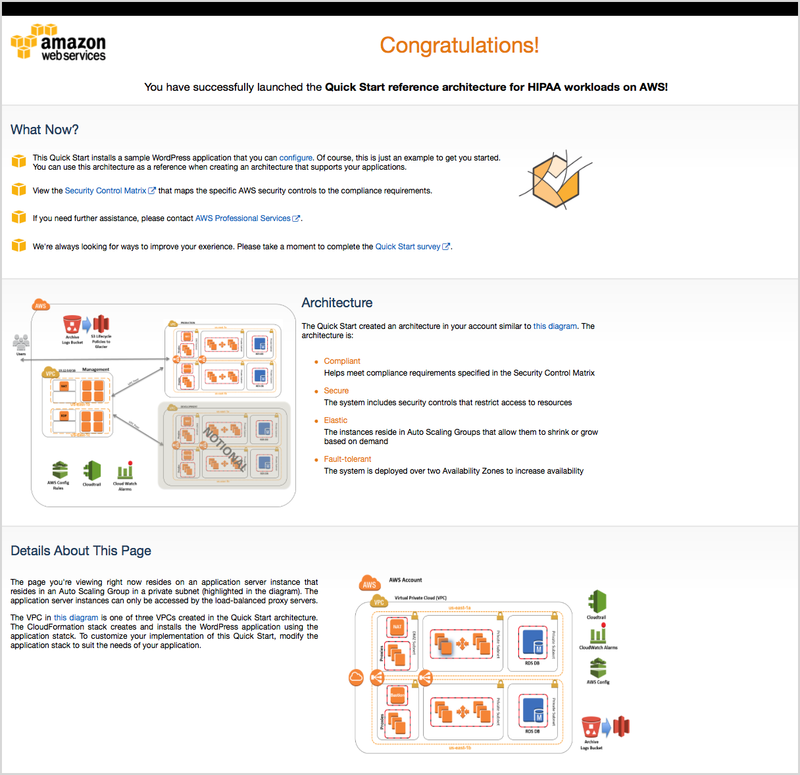 Now that you’ve deployed and tested the HIPAA reference architecture on AWS, please take a few minutes to complete our survey for this Quick Start. Your response is anonymous and will help us improve these reference deployments.